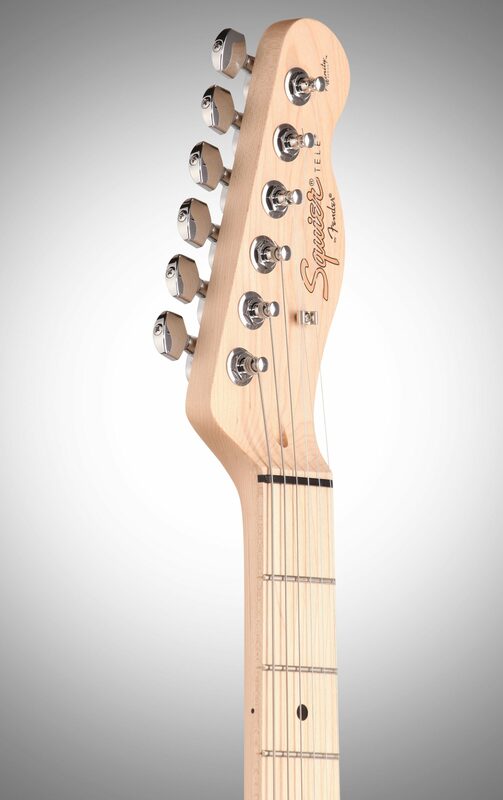 Squier's Affinity Series Tele guitar features two single-coil pickups, three-way switching and truly classic Telecaster guitar style. 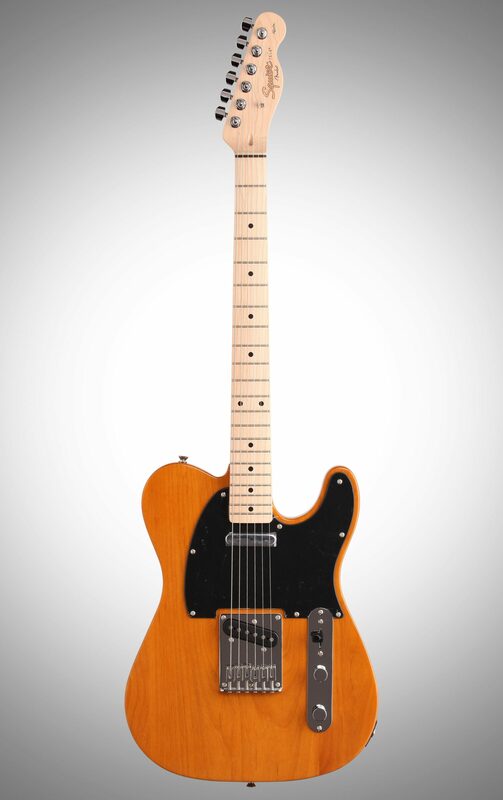 This versatile guitar is now available in a left-handed model. This review has been selected by our experts as particularly helpful. "Best guitar value on the market today period!" Sound: This guitar is simple one of the best for this price on the market today. I can get everything from distorted rock, to blues, to hot country licks and everything in between. 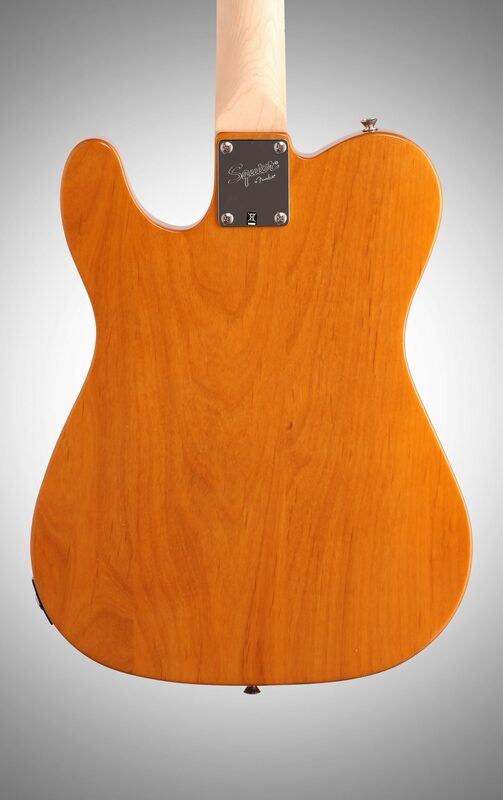 Might want to use a compressor with it but even the American made Tele will need it too. Feature: This butterscotch finish with a black pickguard is a classic. It was flawless. The only thing I would change is the selector switch. Quality: More quality than I could have ever imagined for under $170. Get over your ego about having to have a $2000 Gibson and buy this guitar! Value: The best value I've seen on the market period. Manufacturer Support: Haven't had to use it and don't expect to. The Wow Factor: Classic looks, sound, and feel. You can feel as soon as you strap it on! 68 of 68 people (100%) found this review helpful. Did you? Sound: This guitar has a wide range of voices and surprisingly has absolutely no fret buzz or static from the selector switch or pots. The pickups are open wound so its easy to get an unwanted squeal if you stand too close to the amp and face it. Nothing a bit of wax potting wont cure. 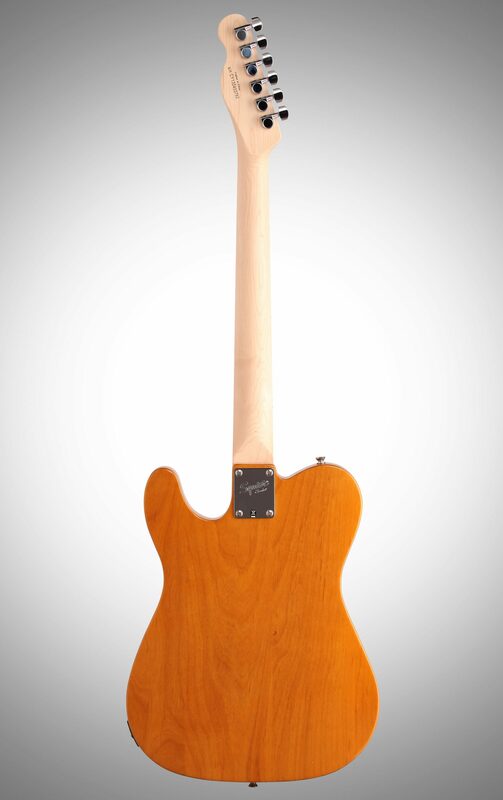 Feature: Im not up on true fender models so I would have to guess that the hardware isnt quite as nice as its higher end brothers. 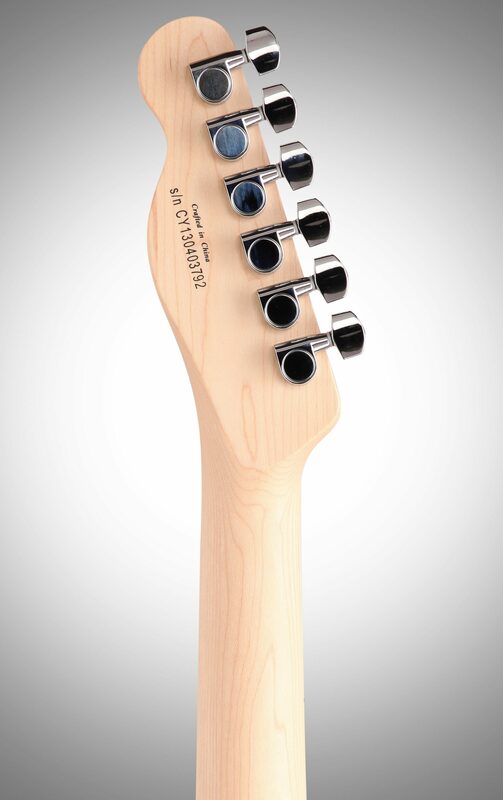 The tuners hold tune quite well and seem to be geared for fairly fast string changes. I wouldnt recommend upgrading the hardware or pickups on the guitar as you could probably buy an upgraded version cheaper by the time you add up the cost of the guitar and upgrades Ease of Use: It is very easy to get different tones and sounds with this guitar. No matter what you throw at this thing it can handle it Quality: From what I found, the only major differences between this guitar and a true Fender is the bridge, ( not a string through body design ) the lack of the dark inlay in the back of the neck, and the jack plate being surface mounted instead of recessed. Value: Absolutely. Manufacturer Support: Have not had to deal with support at this time The Wow Factor: I bought this guitar as a proof of concept before I shelled out big bucks for the Fender version. 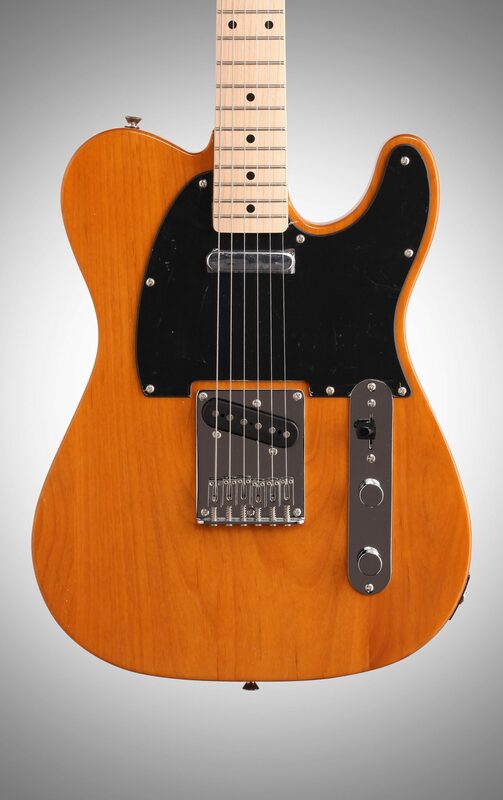 After playing this Squire Tele, I wouldnt hesitate to buy another Squire Tele and definately would by a Fender version. Still not big on Strats though. Overall: Overall this is a great guitar in every aspect. I got it from a large retailer and needless to say it was set up perfectly as a demo. I have been a die hard Les Paul Player most of my life and never found a Fender that I liked until now. It has a few dings and the strings were a bit worn being a demo that is to be expected. I was so impressed that when the salesman said that he would get a new one in the box, I told him not to bother as I did not want to risk getting one that did not play or sound as good.